Launched on May 26, Shelter Island by Bond No. 9 completes the olfaction of the East End. 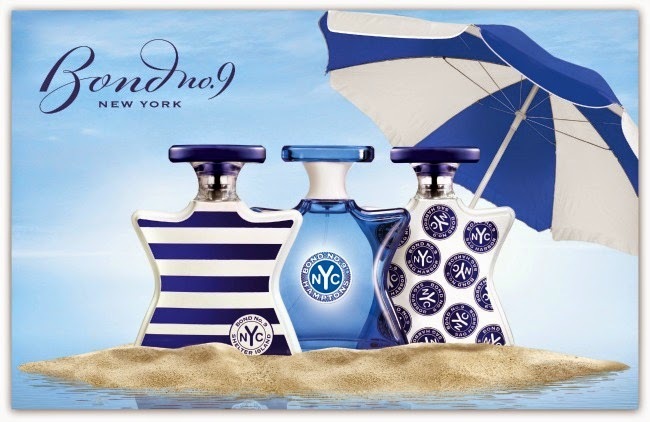 With some 87 scents in its fragrance base, all inspired by the city of New York, Bond No. 9 is a rather interesting perfumery. To love a city so deeply, as to pay homage by immortalizing its iconic landmarks and geography through scent, is truly inspired. Shelter Island is Bond No. 9’s offering for Summer 2014 and has a “beach-centric” theme. The bottle, as with all Bond No. 9 bottles, is aesthetically pleasing and modern with one side displaying deep blue and white strips, and the other a crisp white. Backtracking for a moment, Bond No. 9 released The Hamptons (2005), Montauk (2010) and Sag Harbor (2012) under creative director Laurice Rahmé and again the entire concept is inspired. You don’t have to be familiar with the geography of these areas to appreciate the intent of feeling for which Rahmé wishes to evoke in the perfume wearer. As for Shelter Island, it’s all about summer … the carefree days spent beachside. Upon application is an immediate snap of citrus and pepper that gives way to calmer mid notes of white lily with dry down leaving a lasting essence of oud. Shelter Island masterfully weaves these beautiful notes taking the wearer on an olfaction journey. There is a very unique scent of balmy, beachside summer days and Shelter Island ($260-100ml, $195-50ml) exquisitely captures this fragrance. Sillage: 3-Moderate Longevity: 4 - Long-Lasting; 8 hours or less. Bond No. 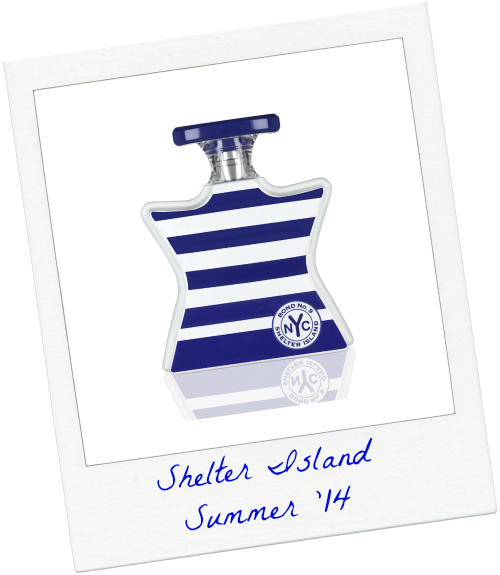 9 Shelter Island is available online at Bond No.9 and select retail locations.